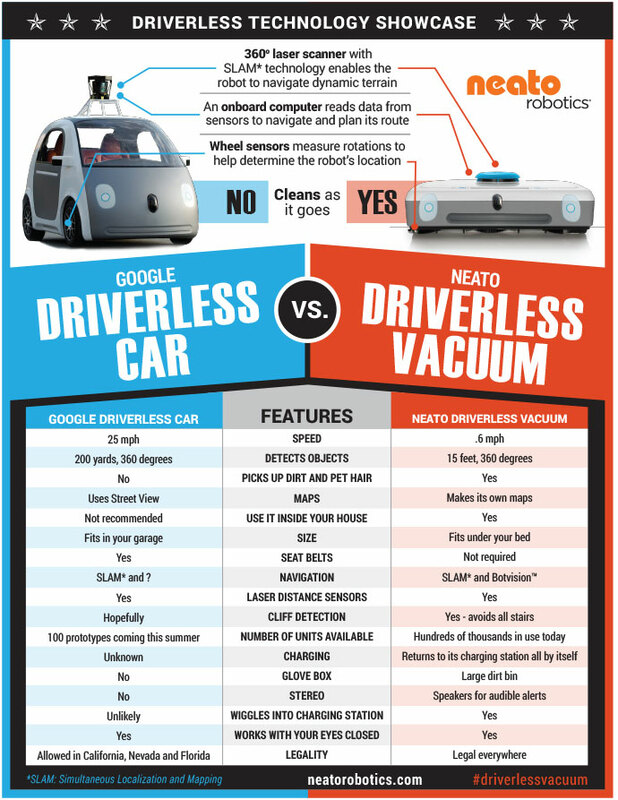 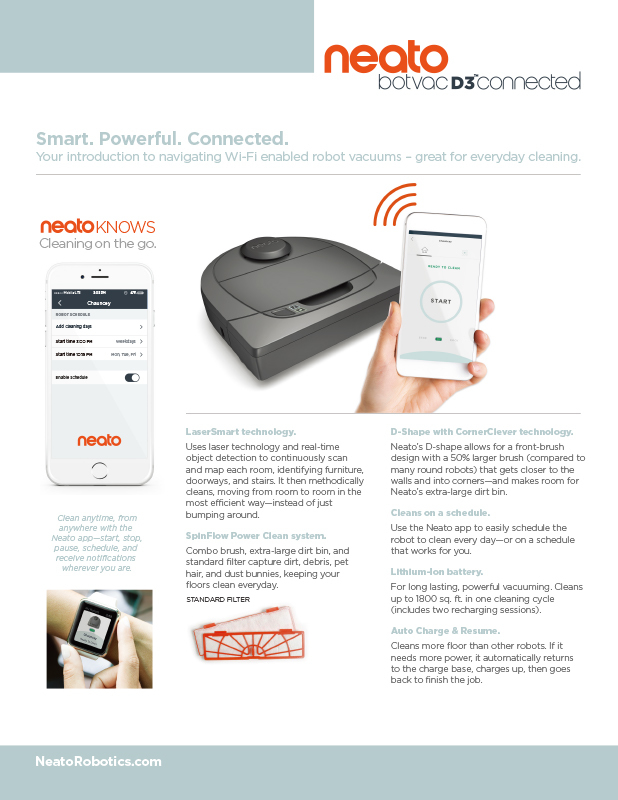 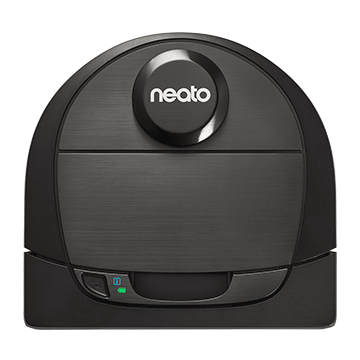 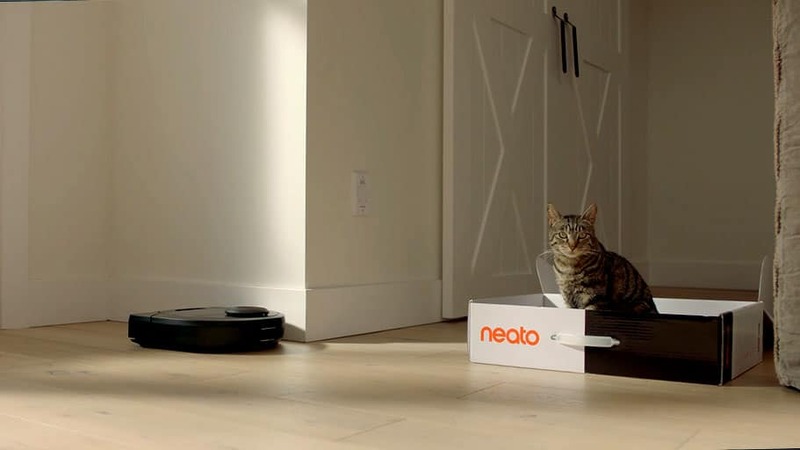 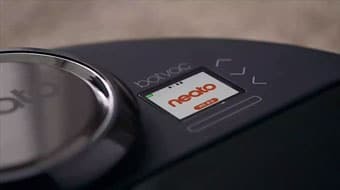 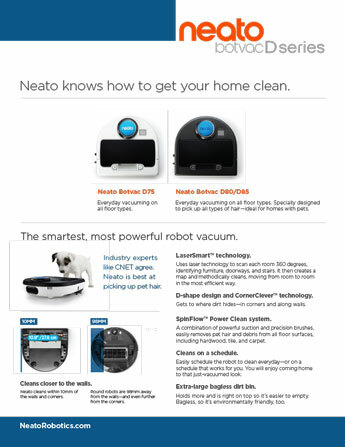 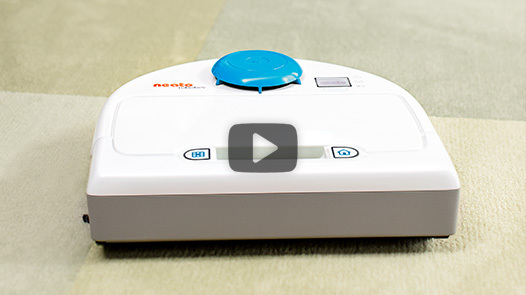 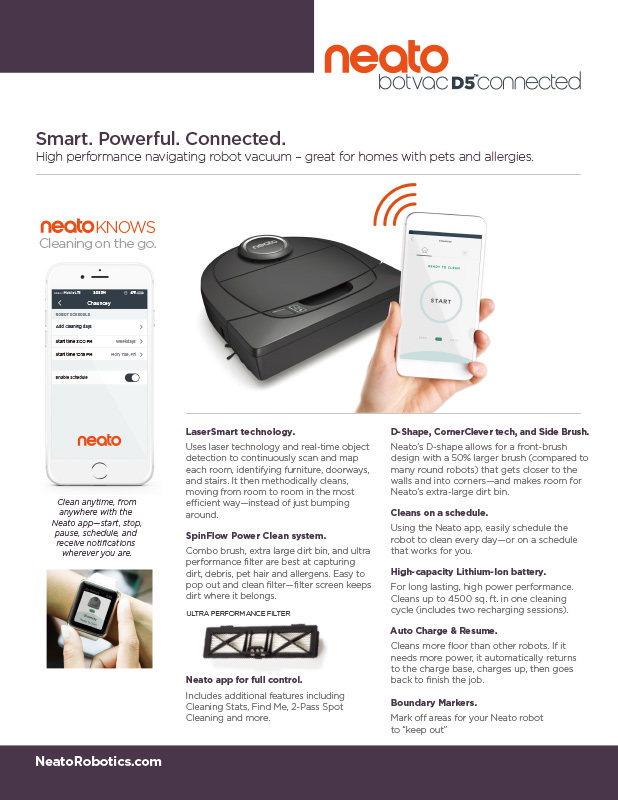 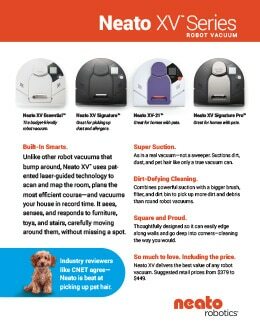 Newark, Calif., August 31, 2018, IFA – Neato Robotics, a leader in intelligent robots for the home, today announces the launch of two new robot vacuums. 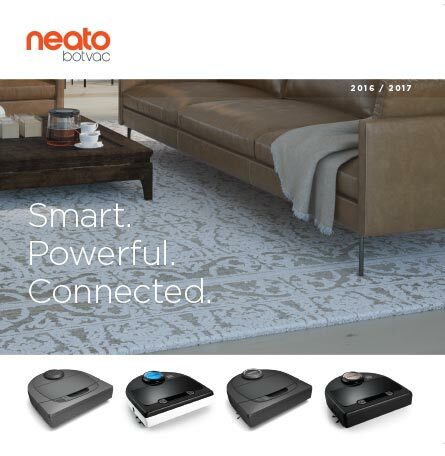 The Botvac D4 and D6 Connected join our flagship Botvac D7 Connected, revamping our product line-up head to toe. 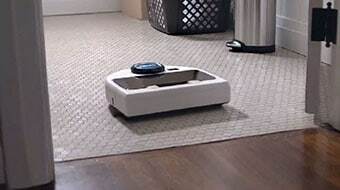 The Botvac D4 Connected offers uncompromising quality and experience while delivering tremendous value. 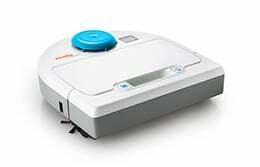 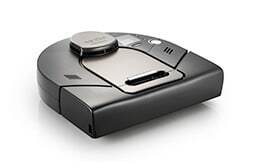 It’s one of the few robots at this price point to feature LaserSmart™ mapping and navigation for industry leading cleaning coverage. 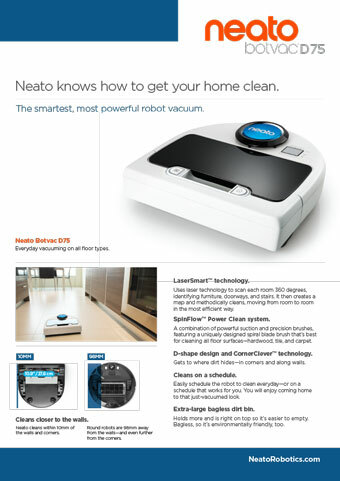 This intelligent robot comes with virtual No-Go Lines, a feature which till now only existed on our flagship robot. 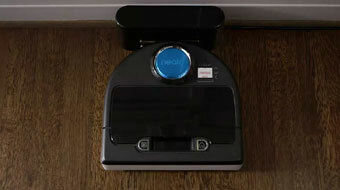 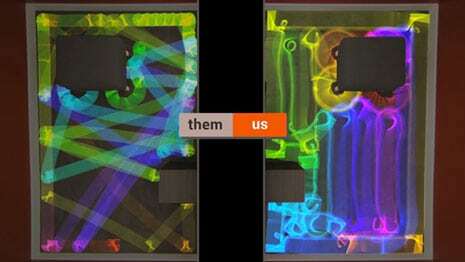 No-Go lines lets you tell your robot where not to go, putting you in full control of your robot. 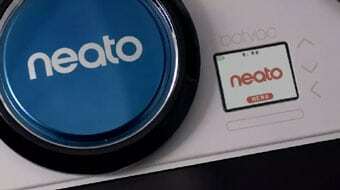 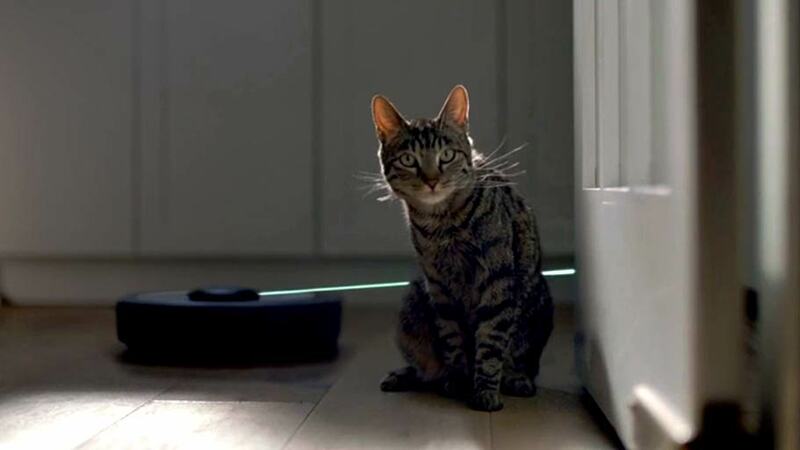 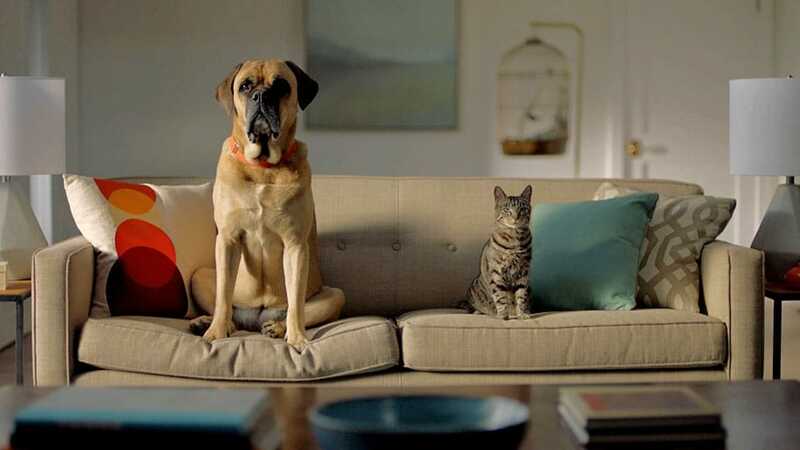 Plus, we’ve improved battery life and charging. 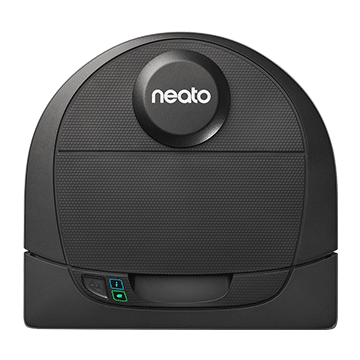 Botvac D4 offers 33% more battery than its predecessor. 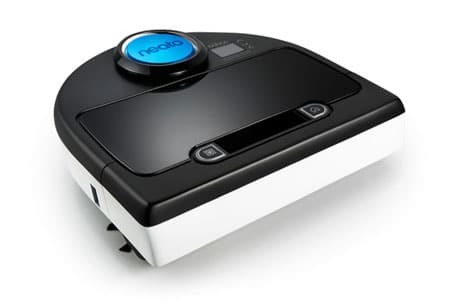 And we’ve added Quick Boost Charging, which allows the robot to calculate how much power it needs to finish its cleaning run and top up accordingly. 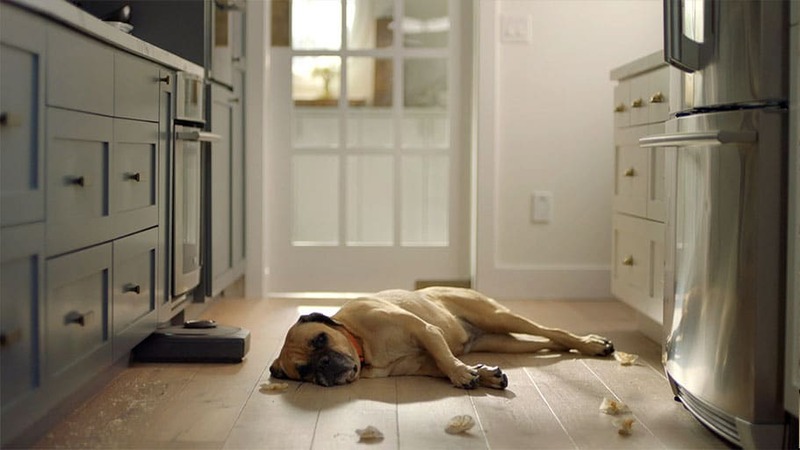 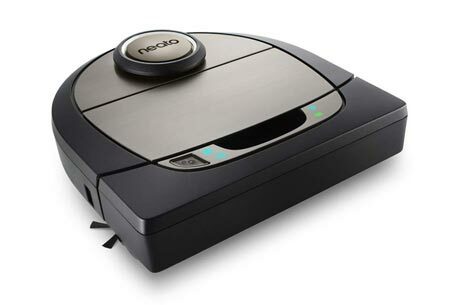 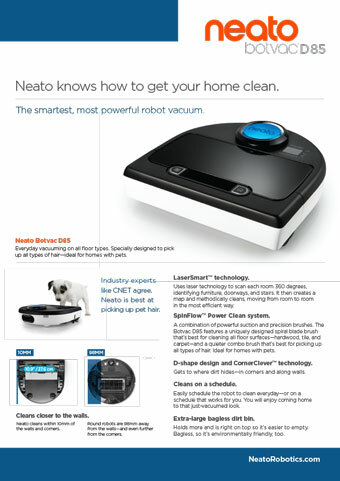 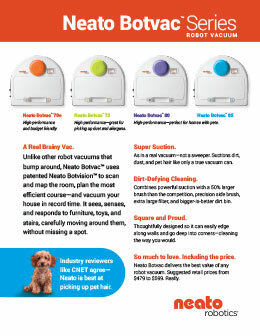 By understanding your home’s environment, this robot delivers a great personalized and more efficient clean. 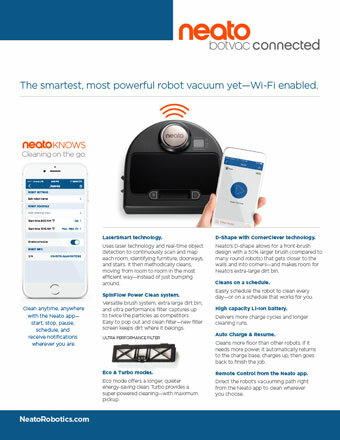 Botvac D7 Connected is listed at a suggested retail price point of 799 USD / 8999 SEK / 899 EURO/ 799 GBP and available both online and in retail partners in North America and Europe.